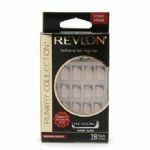 These nails come in many designs and shapes. The new green boxes tend to be smaller than the older gold or silver boxes. 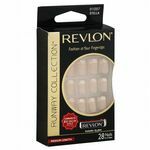 Nail contents come in a range of sizes normally around 12 and contain 24 or more nail tips per box, thats more than enough for the average user. Some boxes can contain nail art / buffer and all should have a tube or bottle of Glue. we dont have it? Try looking in multi packs or check our ebay store link on the left.